Selecting Laura as our website developer was one of our best investments. 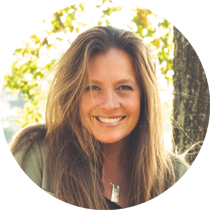 Laura was able to quickly and expertly transform our goals and ideas into an effective and dynamic new website ... I highly recommend Laura Bowly Design for website creation. NOTE: The WordPress 5.0 update will change the way you’ve edited your Page & Post content, so familiarize yourself with Gutenberg asap! I know it seems like WordPress releases a lot of updates and it’s true, they do! Updates provide new features and/or fix bugs that might effect the security of your site.Because WordPress is the most popular content management platform in use today, it’s also targeted by a lot of not-so-nice people (hackers). Keeping your site updated is a good way to help prevent malware attacks (click here to read about other things you should be doing as well). 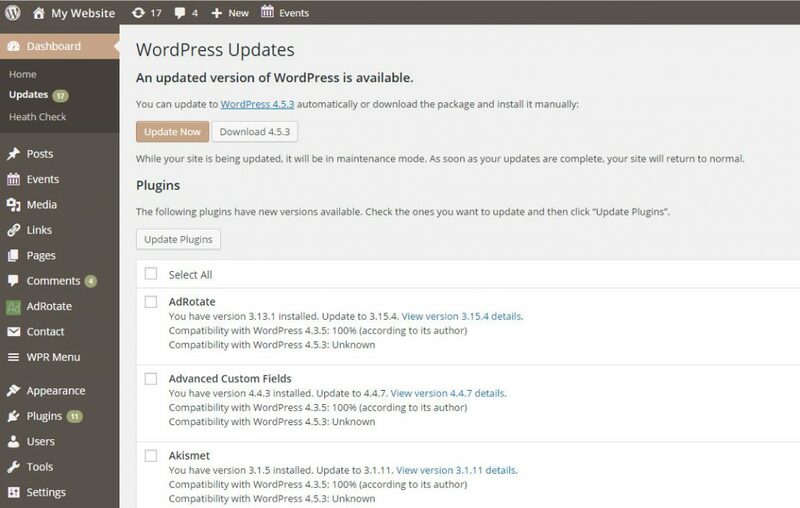 WordPress releases major updates about three times a year. There are many minor updates released between those major versions, and for most sites, those minor updates happen automatically. For WordPress 3.7+, you don’t have to do anything to apply minor & security updates, however, major updates do not happen on their own. That’s easy. Login to your WordPress Dashboard. 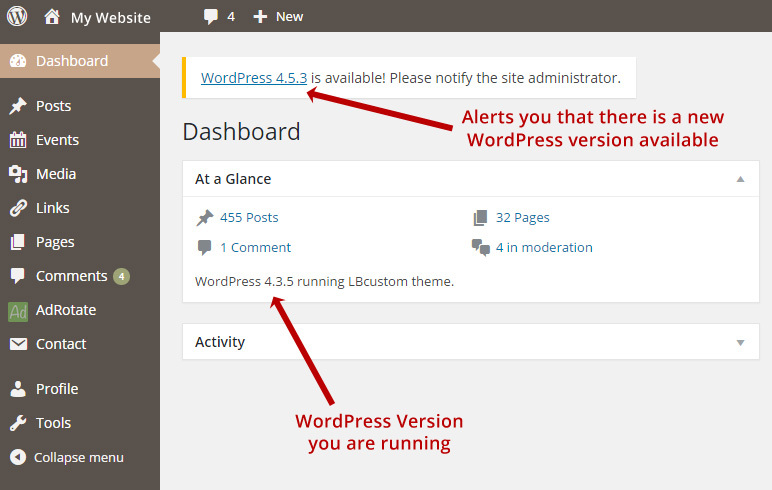 You can always see what version of WordPress you are running in the At a Glance details. Generally, if there is a newer version, you’ll see an alert at the top of the Dashboard. If you are logging in with an Admin level login, you will see a tab under Dashboard called “Updates” which gives you a complete list of the updates needed for the platform (WordPress), Plugins, & Themes. With ADMIN level user access, you’ll see expanded choices in the Dashboard including “Updates”. Backup your site BEFORE you run updates! Before you run any updates, it is critical that you have a current backup of your site & database. From time-to-time, there will be compatibility issues between new versions of WordPress & different plugins. These compatibility issues can take your site down and you’ll need to be able to fix the problem at a code level or restore the site or plugin from a backed up copy. Sucuri offers a daily off-site backup service that I recommend. It is $5 per month and gives you peace of mind in knowing that you always have a current backup of your site & database. Once you purchase the backup plan from Sucuri, you will need to get them your FTP login information to enable the backups to begin. Once you have confirmed you have a current backup, login to your site with Admin level access. You can run the updates using the one-click process at Dashboard » Updates. Run one update at a time and check the front end of the site after each update to make sure everything is working properly. The reason I recommend this is because if something goes wrong, you’ll know exactly which plugin caused the problem so it will be much easier to get your site back online. Remember, Laura Bowly Design can run updates for you if you don’t want to tackle them yourself. Contact us to schedule updates!